Fernando Varela is an American operatic and classical crossover tenor, who performs internationally with various staged operas and as a solo artist. 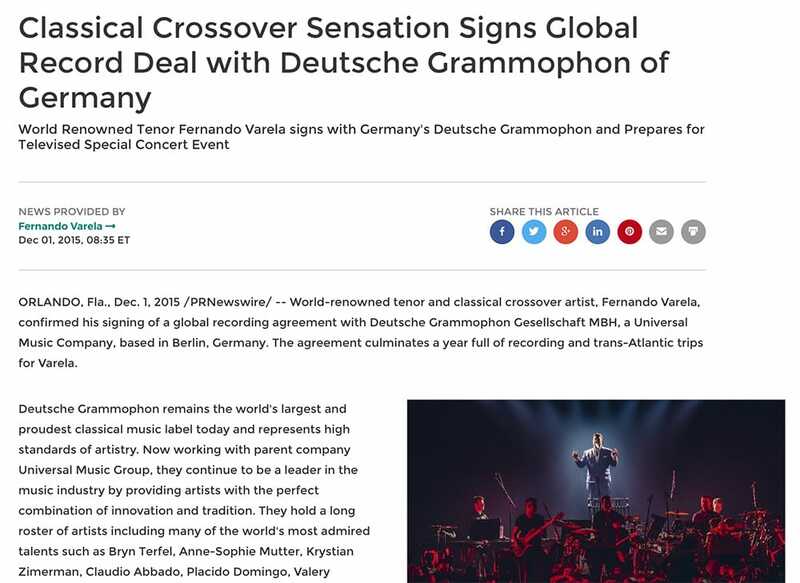 While touring internationally, anticipating an upcoming single release, live PBS special, album launch and record deal with Deutsche Grammophon [Universal Music] in Germany, Varela contacted Consonant (Music) Marketing for assistance. We provided a national public relations and social media solution. Consonant’s PR department consulted and strategized with Fernando throughout numerous interviews and conference calls during his project. We combined our research with professional market research to learn the core values and goals behind Fernando’s personal and professional brand. 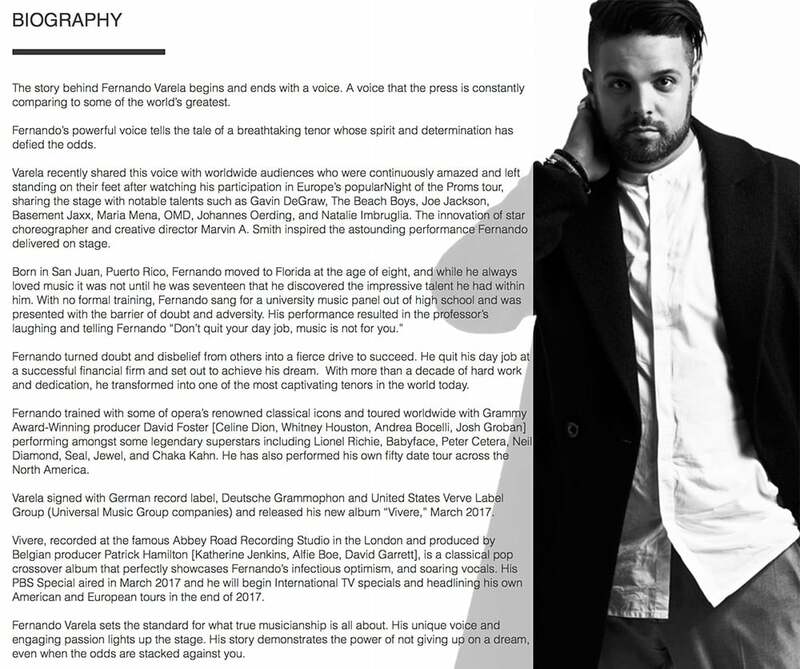 Our final product includes a hand crafted professional artist biography and press release content. We provided various lengths of bios for use on appropriate online platforms. Consonant created press release content as well as provided distribution nationally using Associated Press (AP) News Network distribution. Our online distribution included Google News and Yahoo and reached over 90,000 registered journalists, writers, and reporters and published on 4,200 web sites. Our PR campaign also assisted Fernando with media outreach and communications, resulting in credible publication features and placements and feature article placements. Consonant promoted Fernando’s personal brand while he toured internationally with targeted Facebook ads in the US and to cities that included tour dates and appearances in Europe.